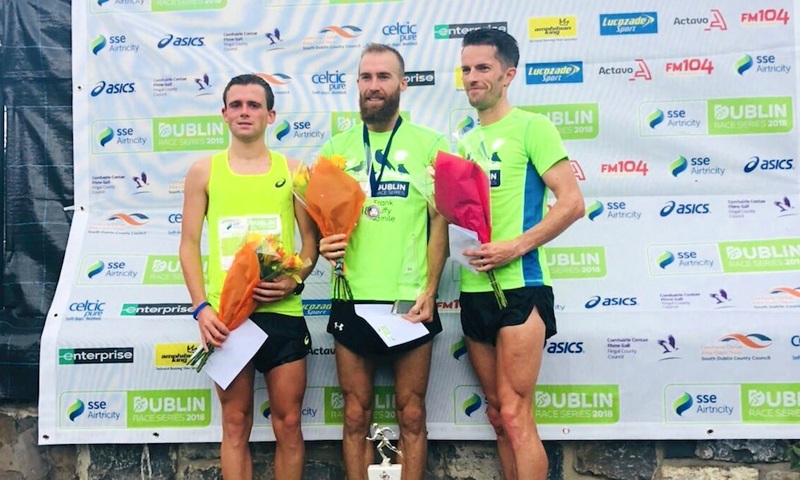 The duo takes the titles at the Waterside Half Marathon in Derry, while David Flynn continues to impress with victory at the Tara 5km. 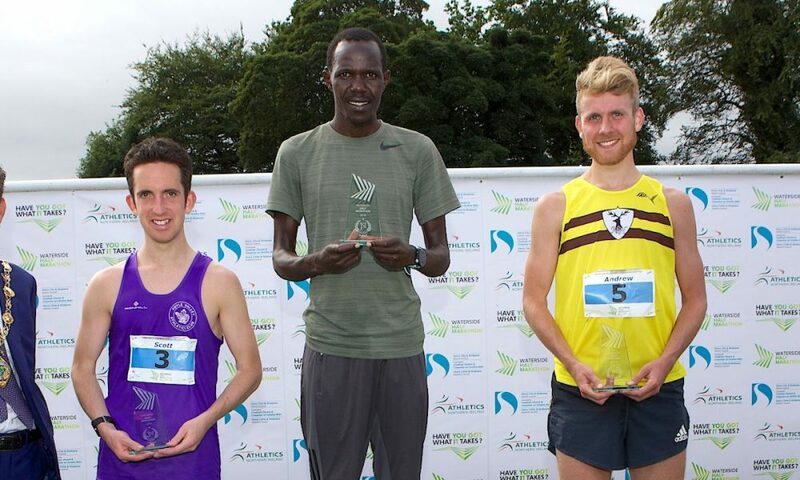 Raheny’s Freddy Sittuk and Anne Marie McGlynn of Letterkenny AC were the winners at a well supported Waterside Half Marathon in Derry on Sunday (September 2). Sittuk out-sprinted Andrew Annett to the line, finishing in 70:05. Annett, from North Belfast Harriers, was one second adrift for second with Foyle Valley’s Scott Rankin third in 70:13. McGlynn was an untroubled winner of the women’s race in 77:01. Earlier this season, she ran 74:28 to win the Omagh Half Marathon and clocked a personal best 33.50 for 10km. Second was Ciara Toner of Springwell AC in a personal best 82:08, while finishing in third place was Gemma McDonald of Ballycastle Runners, with a time of in 89:20, who knocked four minutes off her previous best time. 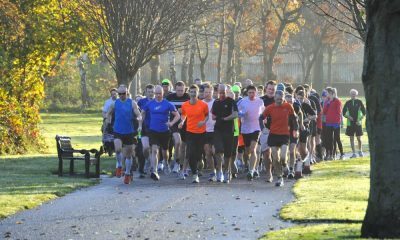 Irish international Stephen Scullion and Jane Anne Meehan won the Frank Duffy 10 Mile in Fingal. Clonliffe Harriers’ Scullion was first across the finish line in a personal best time of 49:19, while Athenry’s Meehan won the women’s race in 61:21. A full report can be found here. 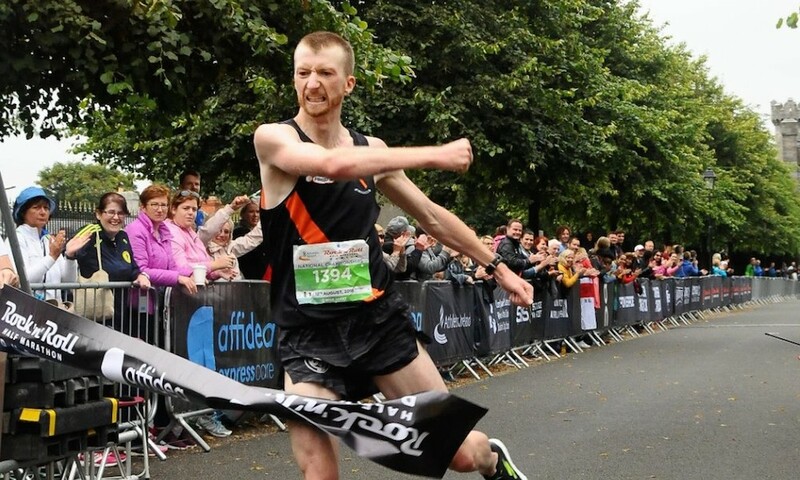 At Ormeau Park in Belfast, Ben Branagh of St Malachy’s AC was first home at the Laganside 10k in 32:07 – a week after winning the Storming the Castle 10km in Carrickfergus. Vincent McKenna of QUB AC was second in a personal best time of 32:21, while Conan McCaughey of host club North Belfast Harriers, finished third in 32:28. First woman by almost two minutes was Gladys Ganiel O’Neill of North Belfast Harriers in 37 minutes exactly. Less than a month ago, O’Neill was part of the Irish marathon team at the European Athletics Championships in Berlin. Laura Bickerstaff of Dromore AC was second in 38:55 and the steadily improving Sarah Lavery of Beechmount Harriers third in 39:20. Last year, Lavery, a track athlete in her younger years, finished twelfth in this race. Wearing No. 1 in the race was Paula Radcliffe, who has strong Northern Ireland connections and finished in a time of 42:35. On Saturday (September 1), John Meade of St Finbarr’s AC led home over 2,000 finishers at the Dingle Half Marathon in Co Kerry. On a tough and hilly course, Meade clocked a respectable time of 74:37. Almost two minutes behind in 76:45 was James Moran while third was Derek Griffin of St. Brendan’s AC in 77:09. Listed as first woman home Aine O’Reilly who was 12th overall in 86:18. 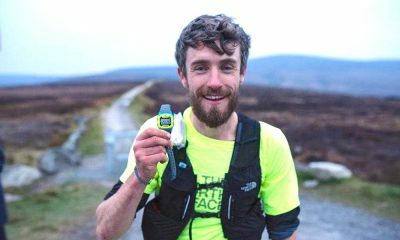 First home in the marathon was veteran Eoin Sugrue in 2:44:44; first woman in 3:23:04 was Lean ni Chiobhain. Runaway winner of the Tony Donoghue Moone 10k in Co Kildare was Thomas Hayes of Kilkenny City Harriers in 31:03. A distant second in 35:11 was Tom Lupton of Portlaoise AC, while third was David Leonard of Sliabh Buidhe Rovers. Sheila O’Byrne of Sli Cualann was first woman and seventh overall 39:57. Kerry Page of Clonliffe Harriers was second in 44:41 and Lisa Hughes of Le Cheile AC a close third in 44:37. Hiko Tonosa of DSD proved the class of the field at Saturday’s Seamie Weldon 5k in Ardee Co Louth, winning in a time of 15:07. Half minute adrift was Freddy Sittuk of Raheny Shamrock in 15:39, with Dunleer’s Darragh Greene a close third in 15:40. First woman was Karen Costello of Dunleer in 18.39; her clubmate Nicola Walsh was second in 19:04 and Laura Mathews of North East Runners third in 19:38. 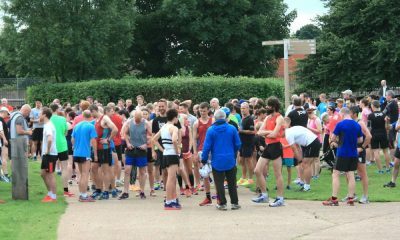 David Flynn of Clonliffe Harriers continued his recent winning streak with victory at the Tara 5k in Co. Meath on Friday evening (August 31). Flynn’s time of 15:07 saw him finish comfortably clear of Efrem Gidey of Clonliffe Harriers who clocked a time of 15:22, with Thomas Moran of Dunshaughlin AC third in 15:29. Dunboyne’s Jane Bandila was first woman in 18:34, followed by Emilia Dan, also Dunboyne, in 19:08 and Shauna Moran of Dunshaughlin AC 19:20. Rathfarnham’s Mitchell Byrne won ta competitive Celbridge 5k on Thursday evening (Aug 30). 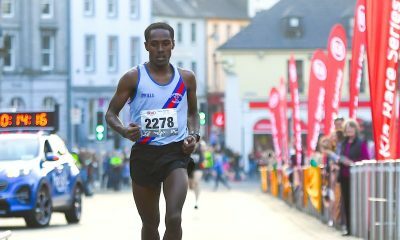 Mitchell’s time of 14:56 put him three seconds clear of second-placed Eric Keogh of Donore Harriers. Finishing third in 15:59 was Stephen Hunter of St Abban’s. Sixth and first woman was Laura Shaughnessy of DSD in 16:21, with her clubmate Linda Byrne second on 17:10 and Laura McDonnell of Tallaght AC third in 17:43.